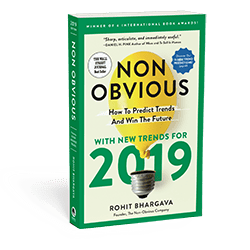 One of the trends my team and I uncovered and wrote about this year in Non-Obvious was “Ungendered” – a term that describes how our shifting definitions of traditional gender roles are leading some to reject the notion of gender completely. A new study released this week from Vanderbilt University studied children’s reactions to a genderless robot character on the Amazon show Annedroids and its conflict about whether to call itself a girl or boy. The droid ultimately chooses not to pick a gender and instead “just be me.” The study suggests the conclusion that gender is increasingly seen as a preference, and sometimes even optional altogether. I love a well timed marketing idea, like this new tourism campaign from Namibia. Taking it’s inspiration from Trump’s widely condemned remarks last week referring to many African nations as “sh*thole countries,” a tour agency in Namibia turned his comments into a pitch for all the natural beauty of their Western African nation. The entire effort is beautiful proof that you can win with creativity even if your starting point is less than ideal. 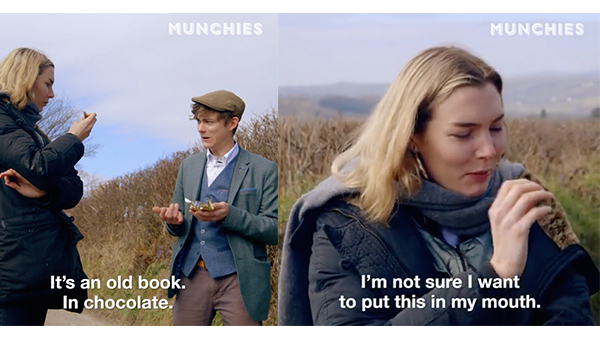 If you ever wished Willy Wonka was real, you will enjoy this story of NOMNOM Chocolate founder Liam Burgess who delights in serving up some very odd candy flavor infusions (like old books!) from his abandoned chocolate factory in the UK. He currently employs 7 of his friends who each have their own unconventional job titles like “Keeper of Deliciousness.” Burgess is embracing the Wonka-myth wholeheartedly and even plans to put a marshmallow room and a chocolate river into his factory. I can already picture the Instagram photos. 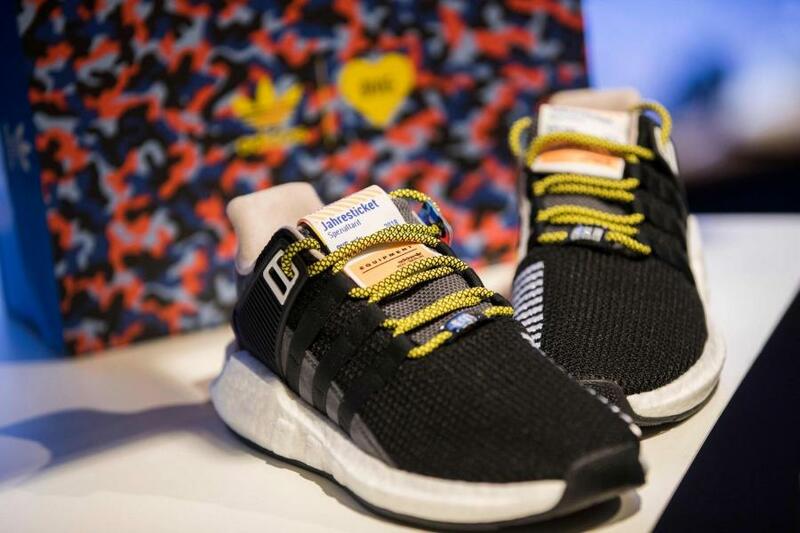 In an unusual collaboration with Berlin’s transport company BVG, Adidas released a new pair of sneakers which also includes an annual public transit ticket with a market value of €730. Hundreds of people camped out for days to get a chance to buy the shoes which retail for only €180 and feature the same color pattern as Berlin’s subway seats. 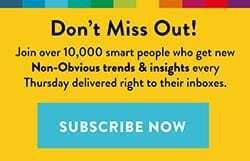 The whole idea is an interesting blend of design and function, not to mention a great example of how to take a luxury product and build in an experience which is useful, memorable and easily shareable. The Atacama Desert of Northern Chile is one of the world’s driest place and for years local Chileans have created ways to use nets to capture moisture from fog and convert it into water. Now two brothers are taking that water and brewing beer that is winning global awards. The two brothers who created the beer promise that the “freshness and purity of fog water” cannot be matched by any other brewers. 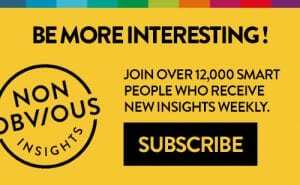 Whether that’s true or not, it is a great example of how a unique backstory can propel interest in a brand no matter how crowded the category it is competing in. Can Traumatic Head Injuries (Or Dementia) Create “Sudden Geniuses”?